In 1997 at the Karakalpak state university the physical training faculty was opened, experts from Nukus teacher training college have been invited. In 2001 at university the Music and physical training faculty was opened. Since 2001-2005 over faculty the candidate of pedagogical sciences, associate professor P.U.Serimbetov supervised. In 2002 on the basis of faculty the magistracy was opened. In 2005 as a result of association a direction of bachelors of Vocational training, idea of national independence, physical training, music education the faculty was reorganised in Pedagogics faculty. At faculty of 6 chairs: sports disciplines, interfaculty physical training, music education, idea of national independence, professional education, pedagogics and psychology. With 2006 for 2010 the dean of faculty was the candidate of philosophical sciences, associate professor R.M.Reimov. In November, 2010 the faculty has been renamed into physical training and music faculty, to supervise over faculty the candidate of pedagogical sciences P.U.Serimbetov was appointed. At faculty there were 2 chairs, supervised over chair of sports disciplines the candidate of historical sciences B.Zh.Mambetov supervised, the faculty consisted of 18 members, over music education chair K.Zaretdinov supervised, the faculty consisted of 8 members. In 2011 the chair was renamed as Pedagogics department. 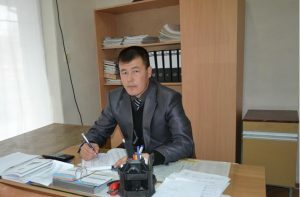 By the dean of faculty the candidate of pedagogical sciences, associate professor P.U.Serimbetov was appointed. From September of 2015 Kaipov N. is the dean of the faculty. Professor teaching staff – 33. Doctors of sciences – . Candidates of science – 3.